A beautiful beach escape like no other! 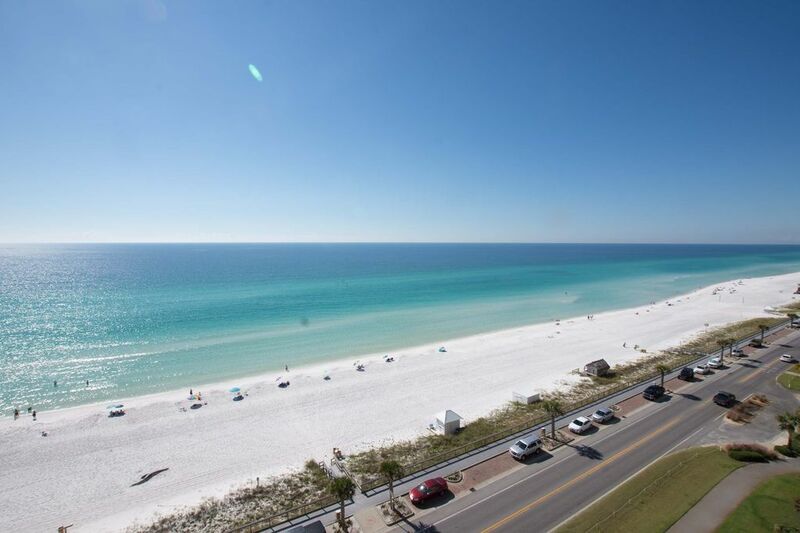 Majestic Sun 1010A Destin / Miramar Beach vacation condominium offers panoramic views of emerald-green Gulf of Mexico waters and spectacular sunsets. Enjoy all the luxury amenities this beautiful 12 story beach resort has to offer. Situated on 2000 feet of sugar white beach, the Majestic Sun at Seascape is one of Destin’s premier resorts. Here, your leisure and recreational choices are almost endless with an on-site 18 hole golf course, eight tennis courts, on-site fitness center, and a 3200 square foot heated indoor/outdoor pool with bubbling hot tubs. There is truly something to satisfy everyone - championship sport fishing, designer outlet and boutique shopping, and outstanding gourmet or casual dining. With so many options you may just want to soak in the sun or take a sunset stroll enjoying one of the most beautiful beaches in the world. No rentals under to parties under the age of 25 or parties consisting of mainly guest under 25 without the presence of parents. Please be sure to call us for exact availability and prices. when able we often times run specials or have changes to the schedule. Calling is the best way to contact us. Only one mile from the Silver Sands Designer Outlet Mall, Destin Commons, a new shopping, restaurant, entertainment area. We are a small family owned and operated business in Destin, FL . We specialize in Upscale Pet Friendly and Non Pet Friendly Beach rentals and we truly love what we do! We manage and decorate not only our own condos but a few for other owners as well. We hope to help you find the perfect vacation for the whole family! Terrific Views, perfect for 2 couples and nicely upgraded. Why pick anyone else? Direct unobstructed gulf views from balcony. Direct gulf views from your balcony. must bring your own beach towel and wash towels if you run out during stay. (2) One indoor heated pool with swimout to outside. Wonderful condo. It had everything our family (2 adults/2 teenagers) needed. Take advantage of the beach chairs and umbrellas provided. The decor in every room was up to date. The balcony had plenty of space for us to sit and look for dolphins in the morning and relax after dinner. Multiple wrist bands for the pools and multiple keys for the condo provided. The owners provided useful information/reminders prior to arriving, prior to departing and follow up after departure, all three were appreciated. The resort is conveniently located within walking distance to a couple souvenir shops, a Dairy Queen, a couple places for food/drinks and plenty of access to sidewalks to walk/run if you like. Also within a mile to a grocery store. Happy with our decision to stay at this location. The condo is lovely- centrally located and has everything you need. We were there for spring break and were concerned with noise and elevators. Neither were a problem at all. I would highly recommend if you’re looking in the area. Also, Fat Clemenzos is right around the corner and has wonderful Italian food! Great little condo with wonderful gulf views. Small for recommended number of people, but great for two. Well appointed and nice but deck furniture needs updating. Thank you for your review. The condo has 2 bedrooms with king beds and is very comfortable for 4 people. The condo can accommodate as many as 6 people with the use of the queen sleeper sofa in the living room. Two people would certainly be very comfortable with room to spare. We work hard to maintain quality furnishings and will update or replace the outdoor furniture as needed. Our condo was very clean and furnished nicely. Beds were very comfy. Great place to stay! Excellent views! Great place to stay! Excellent views! My husband and I had a great three day getaway in this wonderful condo! We love the area and can’t wait to come back! Being on the 10th floor gave us an exceptional view of the gulf. Kitchen, bedrooms, and bathrooms are modernized. Floors are clean and white but could use a good scrubbing. Had a 1 year old crawling around and picked up black dirt that we couldn’t even see. Other than that, I would definitely recommend this room to others and could very well see myself in this room again in the future. *Rates are subject to change until the reservation is confirmed *25 and up, no young adult groups can stay without parents.